Content: The main difference with previous work is the less ritual-orientated approach of the composition. 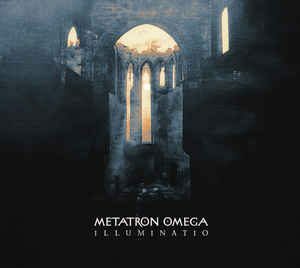 Metatron Omega however remains inspired by dark-ambient music and even remind me of Raison D’Être on a few cuts. Buzzing sound signals and deep, vibrating sound waves lead the listener into a paranoiac feeling. + + + : Metatron Omega remains driven by dark and disturbing music, creating a pure fantasy universe. This brings the listener into a sonic web of great sound treatments and overwhelming atmospheres. 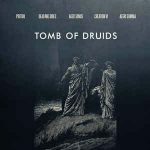 I sometimes get the impression of getting lost in an imaginary cathedral where you can hear the resonating dark sonic vibes of the musician. “Thy Light” is a real major piece, creating a truly climax of sonic fear. The final track reminds me of the glorious days of Raison D’Être, which according to me remains the absolute reference in this kind of music. Serbian artist Scorpio V definitely belongs to the new generation of genius composers in this music genre. – – – : Speaking for myself I’m missing the ritualistic touch of the debut album. On the other side, this album also features an artist who’s not repeating himself, but simply tries to walk on different paths while holding on some sound identity. It’s not my favorite Metatron Omega album and yet, it remains a great piece of music. Conclusion: Metatron Omega symbolizes the dark-ambient style of the years 2010, which is an approach reminding great artists from the 90s and early millennium years. 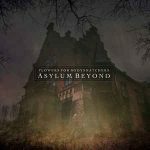 This album is an antidote to happiness although a dark-ambient work can make you happy as well..
Best songs: “Thy Light”, “Mysteriis De Sanguine”, “Ecclesia Univesalis”, “Heosphoros”.